-Empower local leaders to provide food, medical care, and hope to their communities, while sharing the gospel. -Work with local leaders to reduce, and eventually eliminate, poverty by creating self-sufficiency for every child and every family in their community. -Address the complex causes of poverty, including material, spiritual, emotional, social, economic, and educational needs. -Put systems in place to reduce, and eventually eliminate, poverty in all of its forms. -Tend to children’s holistic needs for survival, community, education, and employment. -Transform the lives of children and their communities through a focus on sustainability, independence, and long-term self-sufficiency. -Transform the lives of the partnering community members through exposure, education, relationship, service, and perhaps most importantly, instilling hope. Children’s HopeChest currently has active partnerships in Russia, Moldova, India, Eswatini, Ethiopia, Uganda, Kenya, and Guatemala. 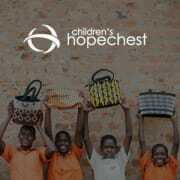 Would you recommend Children's HopeChest?